Kajal Mohammadi, PDKI’s co-representative in Canada, and Mansur Azizi, head of the party’s member organizations in the Diaspora, met with a number of Canadian MPs to discuss the situation in eastern (Iranian) Kurdistan and to garner support for the Kurdish cause. The first meeting took place on September 18 with James Bezan, MP for the Selkirk-Interlake-Eastman (Manitoba) and Tom Kmiec, MP for Calgary Shepard, Alberta, from the Conservative Party. The second meeting took place on September 19 at the office of Cheryl Hardcastle, MP for Windsor–Tecumseh of the New Democratic Party. The third and final meeting took place on September 21 with Erin O’Toole of the Conservative Party of Canada and MP for Durham, Ontario. In the meetings, the PDKI officials informed the Canadian MPs of the systematic oppression of Kurdish people by the Iranian regime. The PDKI officials also highlighted that Iran’s oppressive policies against the Kurdish people are intimately related to the Islamist regime’s support for terrorist groups and its destabilizing policies in the Middle East and beyond. More specifically, the PDKI officials highlighted the need for international support for the Kurdish nation’s legitimate rights within the broader context of promoting democracy and peace in Iran and the Middle East. The PDKI officials also informed the Canadian MPs about Rasan, the party’s reinvigorated struggle since 2015 and called on the Canadian Government to stand with the Kurdish people in their struggle for liberty and democracy. 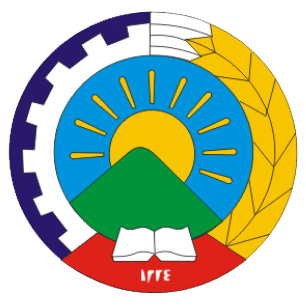 In addition to acknowledging the significance of the information provided by the PDKI officials regarding the situation in eastern Kurdistan within the broader context alluded to, the Canadian MPs promised to discuss the contents of the meetings with the leadership of their parties and stressed the need for further meetings and information sharing.